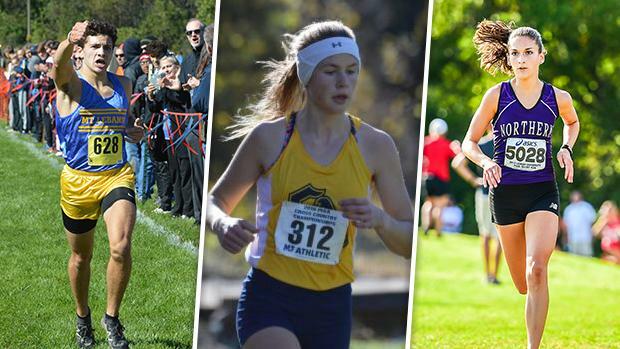 A trio of Pennsylvania runners will be hitting the start line at Foot Locker Nationals on Saturday. Patrick Anderson, Taryn Parks, and Marlee Starliper will be representing PA and the Northeast region at Balboa Park in San Diego, California. The three earned qualifying spots by finishing inside the top 10 at the Foot Locker Northeast Regional at Van Cortlandt Park in New York two weeks ago. The girls race goes off at 12:15 P.M. (EST) and the boys race starts at 1:00 P.M. (EST). We break down what to expect in San Diego this weekend, with a closer look at each of the three qualifiers. Scroll over to see each athlete's breakdown.